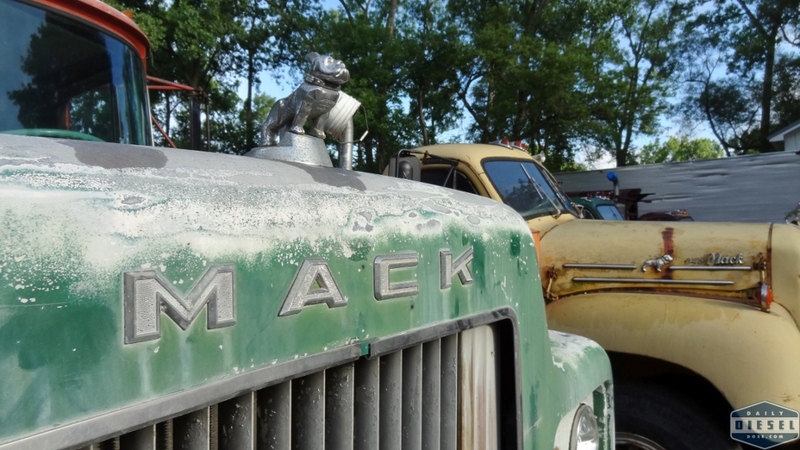 I am convinced that almost every B-Model Mack ever produced still exists. 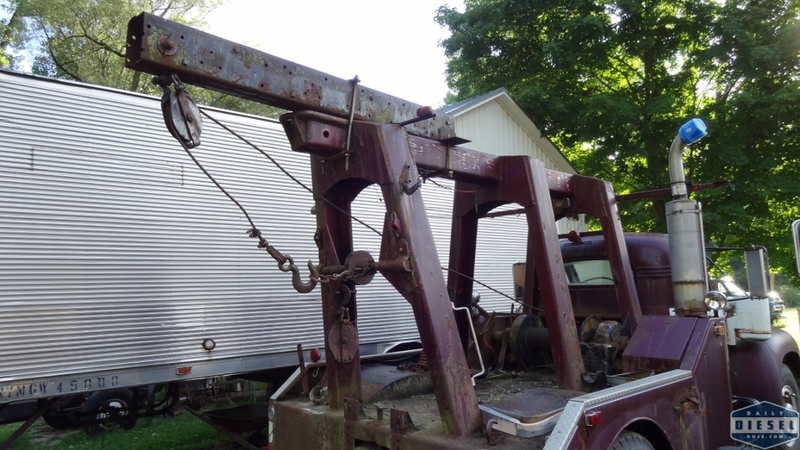 How else can you explain the sheer number of these truck that still wander out of the back 40 and onto the pages of ebay and Craigslist? It’s 2016 and the last B-Model was produced over 50 years ago yet you can still find collections of them without to much work. You just can’t kill these things. Anyway, the first stop of the plow hunting journey through Herkimer was at a location known to have a few trucks kicking around. If your definition of a few is somewhere around a dozen then we understand each other. Most of the Macks on the property are owned by the same family with many being owned since new. 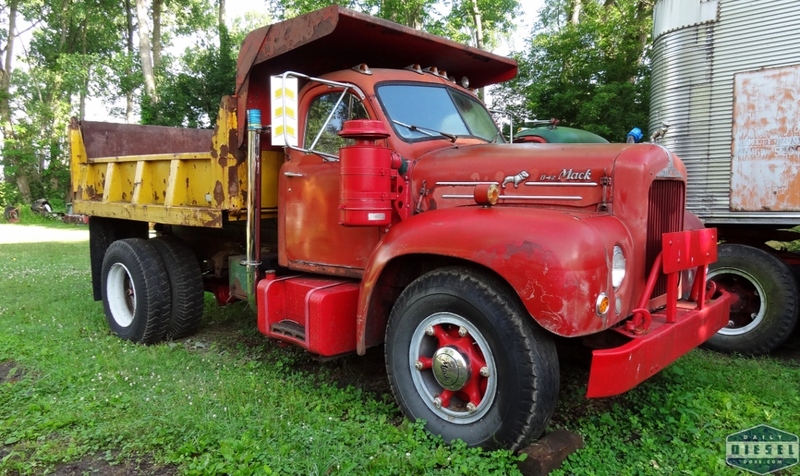 This truck for instance came from the Mack Syracuse branch and survived a train collision. Like I said, you can’t kill a B-Model. 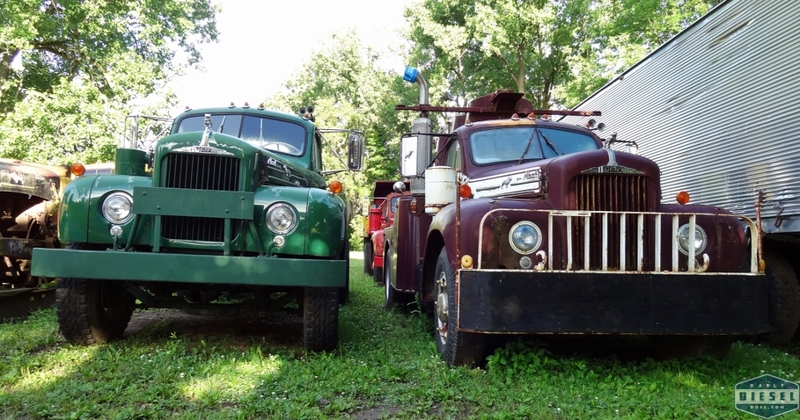 Some of the trucks were solid from top to bottom while others had been saved from the junk yard so they could be restored or help restore others. Creeping into the collection, an R-model. 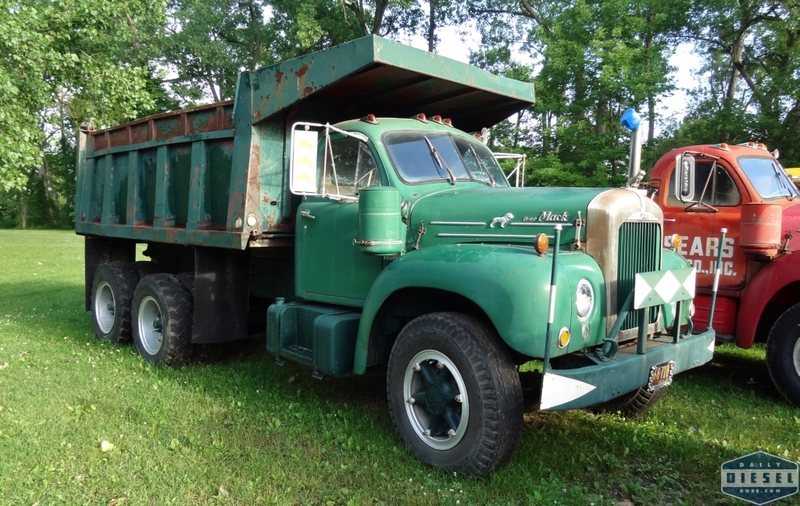 I don’t recall the exact age of this truck but it does have a flat back cab and steel dash. Those two facts place this truck between 66 and 73. 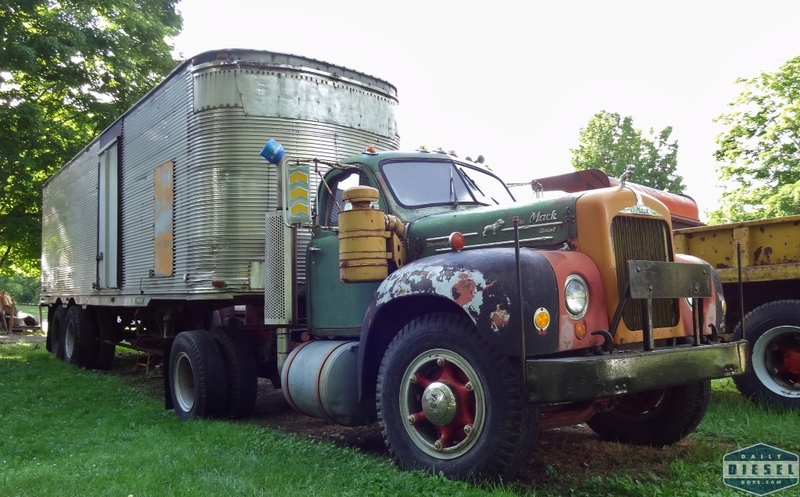 Plenty of great trucking history in these photos. Thanks to Brian for letting us wander around and bomb him with questions first thing in the morning. This entry was posted in Truck Spotting. Bookmark the permalink. Nice collection for sure. 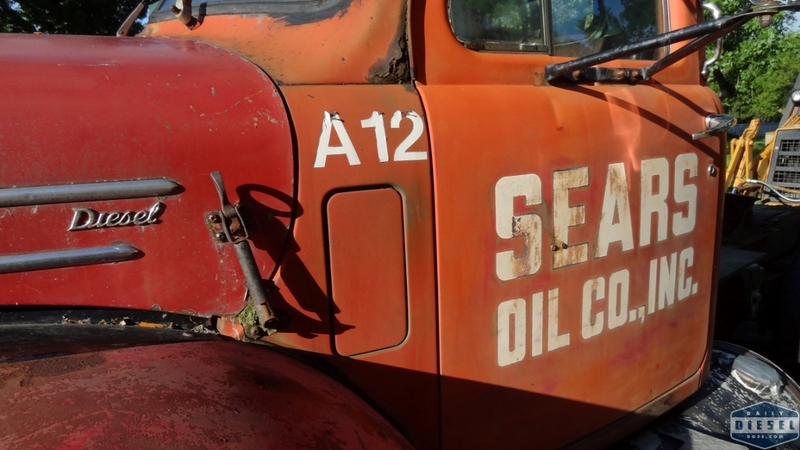 I remember Sears Oil delivering heating oil to the Skaneateles schools back in the late 1970’s with their B-model single axles and tandem axle tank trailers. Wish I had carried a camera with me back in those days. By the way, I wonder if that R model is a “BCR” conversion? 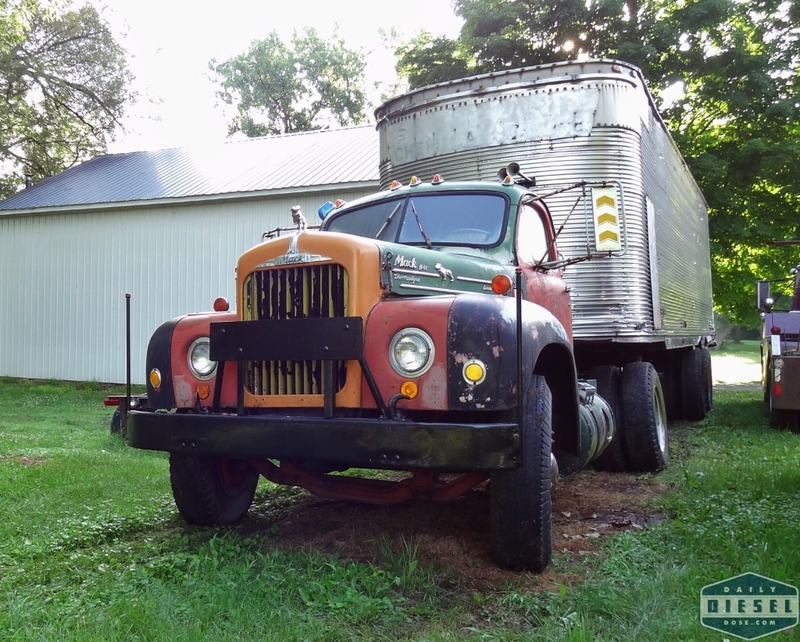 I don’t remember it coming up in conversation, I believe this is a very early R-Model with the flat back cab.